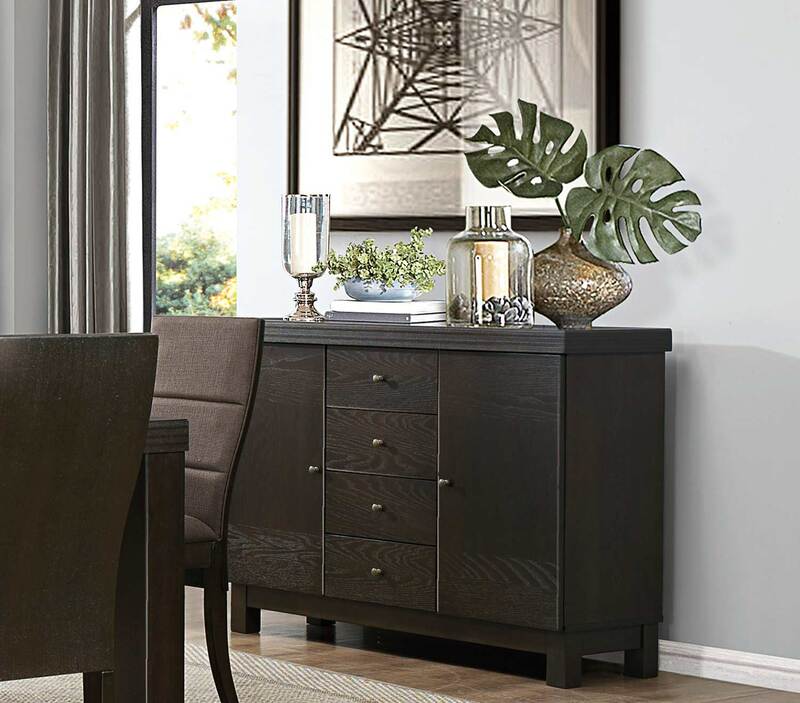 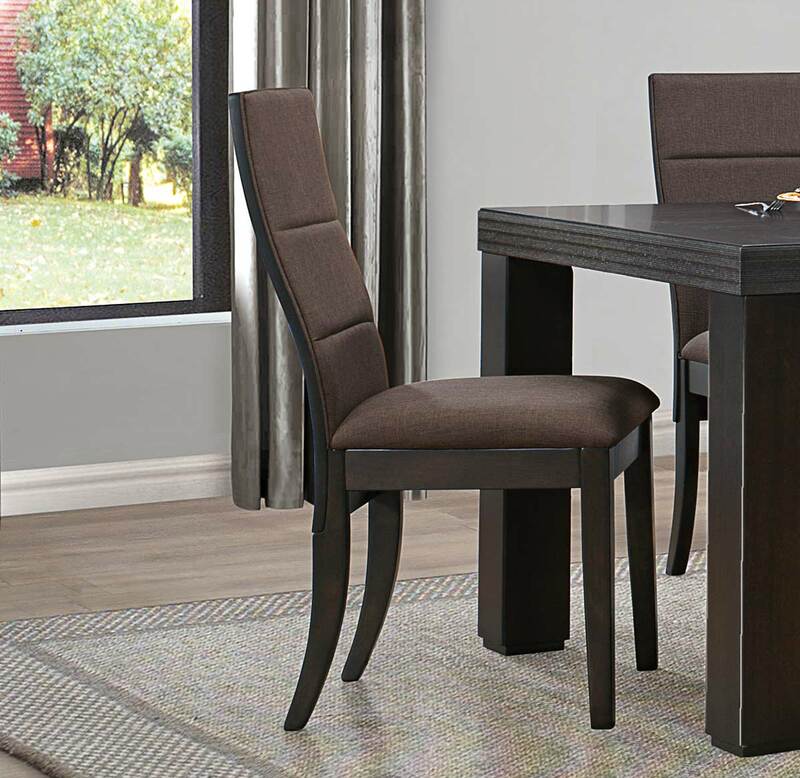 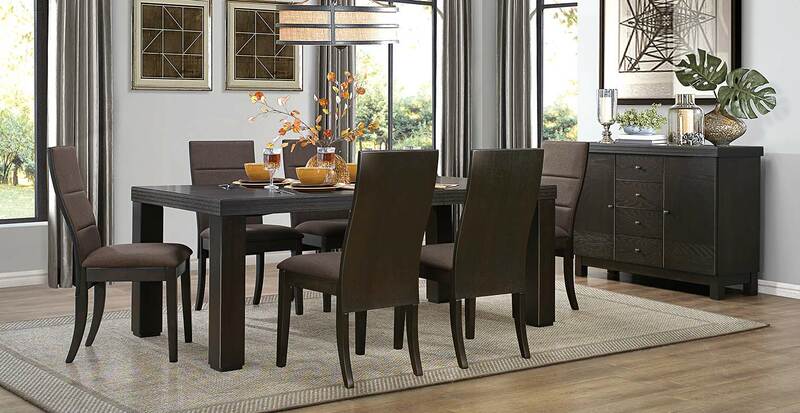 Designed for your contemporary home, the Homelegance Pinole Collection lends decorative flair to your dining room. Substantially sized block table legs rise to support the table top. 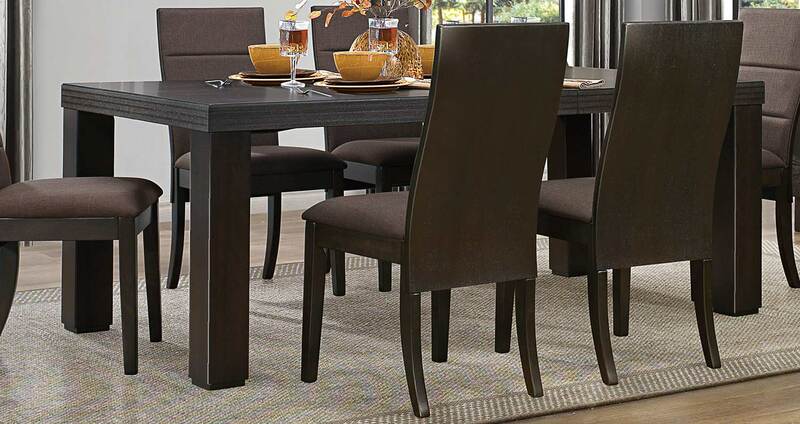 Wire brush enhancement lends character to the serpentine chair backs and table apron. The chocolate-tone fabric, covering the seats and backs of the chairs, serves as a welcome contrast to the dark espresso finish of the Pinole Collection by Homelegance.